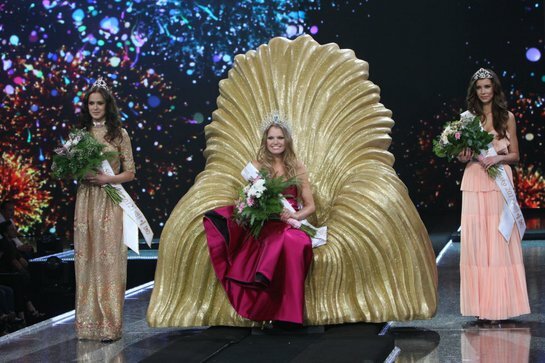 20 year old Kristina Krajcirova from Bratislava won the title of Miss Slovakia 2012 or locally referred as Miss Slovensko competition which celebrates it's 17th year held at the Incheba Expo in Bratislava last April 27. Kristina stands 178cm tall will represent Slovakia in Miss World 2012 on August 18 in Ordos, Inner Mongolia in China. Vice-Miss or the 1st run-up was Denisa Krajcovicova. She will enter the Miss International 2012 next October to be held in Okinawa, Japan. Placed as the 2nd run-up was Silvia Kimlickova.